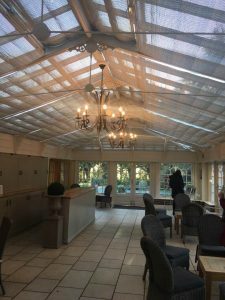 Some days our lovely team are sent out of the office (away from our usual day of quotes and invoicing) and sent to one of our nearby Venues – today’s journey took us to the gorgeous Oaks Farm which is set just away from the busy town of Croydon, in a quiet and beautiful area surrounded by a picturesque Golf Course. We have been working on their preferred suppliers list for many years now and I must say – it is definitely one of our favourites! 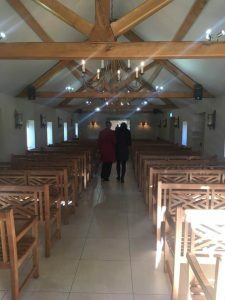 Our staff even had a chance to walk up the Aisle in the Stable and view the beautiful Barn laid out ready for this weekends events! 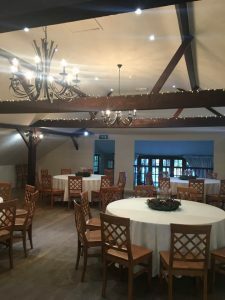 The frosts may have started covering the grounds and tables but once inside the Venue is warm and welcoming – just like the staff that run it! 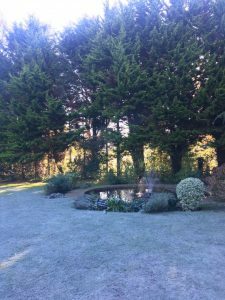 Walking through the grounds and seeing the care and love which has gone into the venue, their passion for continually delivering a great service to their clients is so clear. 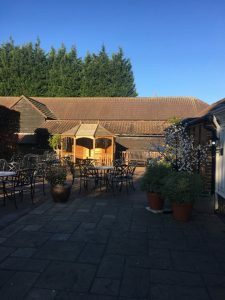 To get the best out of our events your operational team will be in contact with the staff at Oaks Farm (or your other chosen venue) to ensure a blissful planning process and stress free day! We discuss the best ways to run your events with the people that own the venues because we want to be able to guide our clients in the right direction. If you are interested in discussing your big day at Oaks Farm or if you would like to know about our experiences working with other venues, feel free to get in touch today on 01293 862 111!